Happy Wednesday, Friends! Some of the most frequent emails I receive are ones asking about ways to keep in God's word, whether it is through devotionals, books, reading the Bible, etc. 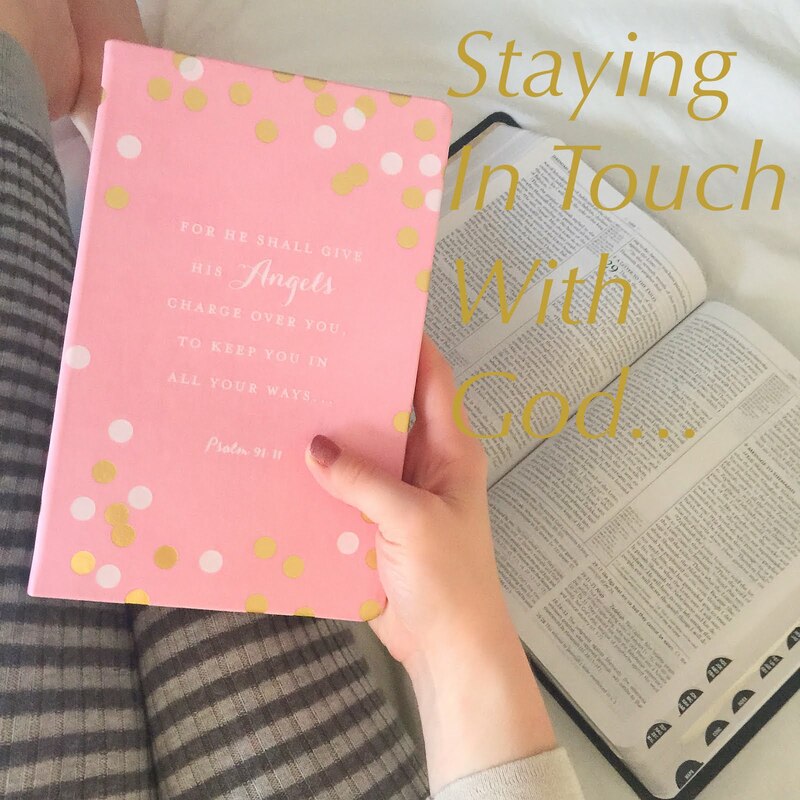 I want to share a few of the ways that I "stay in touch with God." This is actually what began my walking closer to the Lord. I was given the book Just Enough Light for the Step I'm On by Stormie Omartian. It is such a powerful book that is so relatable to life situations. There is even a weekly devotional in the back of the book, if you want to make a devotional out of it. I also love the book Trusting God by Jeremy Bridges. This book helped me with knowing why I can trust in God with all of my heart and lean not on my own understanding. I also adore books by Heather Lindsey. Dusty Crowns is a favorite as it really puts things into perspective with living in the current season of your life. So, pick up a book that will help you pursue a closer walk with God. Although my iPhone can be a distraction from God, I have found ways to help it keep me close to God. I feel like my hands are always busy with Madeline, so I have learned to use my phone for as much as possible! First off, if you haven't already, download the First5 App! This app is amazing and has meant to much to me. It is a plan to take you throughout the Bible over a four year period. The app has already covered the books of John, Genesis (my personal favorite), and Matthew. The study of Exodus has just begun, and it has been so good. 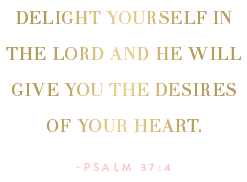 The app is meant to help you begin your day by spending your first five minutes with God. What I love even more is that you can purchase a experience guide (hardcopy or digital version), to help you dig deeper into the study. I have loved this. Another way that I use my iPhone to keep in touch with God is by following different accounts on Instagram for daily reminders. Heather Lindsey (@heatherllove) is great to follow as she is posting very eye opening and comforting reminders all throughout the day. She also has the cutest babies, so I have to admit that I like seeing them too :) I also enjoy following Lysa TerKeurst (@lysaterkeurst) and Daily Bible Verses (@daily_bibleverses). The Bible app is another way that I use my phone to keep in touch. It's not just for having the Bible on my phone, but I also enjoy the verse of each day. I began keeping a journal when I was pregnant with Madeline. In this journal, I have written down verses, quotes, lines from books, thoughts, prayers, prayers answered, seeing God working in my life, and so much more. I adore this journal (so much that it is coming unbound). Keep a personal journal to document your walk with God. I can't encourage this enough! It has meant so much to me. This is so important to me, because through this, I can say that God is the stronghold of my life. Throughout my pregnancy, I would memorize a verse a day (a short one a day, a long one a week, etc). I know that seems like a lot. Now, it has become a little more difficult to memorize one a day, so I try to do one over the course of a few days or over a week. But this is something I highly encourage. By committing God's Word to my heart, I have been able to quote verses at just the right time to bring me the comfort I need. I truly believe that "whatever things were written before were written for our learning, that we through the patience and comfort of the Scriptures might have hope." If you can, I encourage you to talk with others. I have some close Christian friends that share such things with, and it brings so much comfort to see what God is doing in other lives as well. Talk with others about prayer requests, prayers you've seen answered, verses, your studies, books you're reading, etc. Lastly, I want to say never forget to pray. Prayer is such a powerful thing. God hears prayers! Through my prayer time, I have witnessed the Lord's faithfulness through and through. Take everything to the Lord in prayer. Also, I encourage you to pray with others. It's amazing to pray when gathered together with others. As go through each day, I always remind myself that "man plans his course, but the Lord determines his steps." I know that God is in control of my life, and He knows the plans He has for me. He knows my "sitting down and my rising up. He understands my thoughts afar off." Remembering His promises, such as these, is why it is so important for me, personally, to stay in touch with Him. To fully embrace a life for Christ, I believe that it is important to walk closely to Him. That way I will know Him on a more personal level and will fully feel His presence. 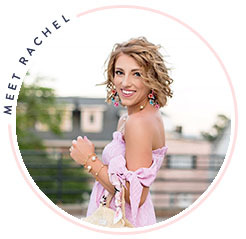 I love these tips, Rachel! Rachel, if you want to grow in the Lord like crazy, I cannot recommend Bible Study Fellowship (BSF) enough. It is far and away the most in depth study and I have learned so much more from it than anything else I've read or participated in. The best part is, they have an AMAZING children's program where Madeline will be taught the Word of God while you learn by leaders who love children and are so gifted in teaching. Their website lists classes by location, and they have welcome classes for new students monthly. Seriously life changing! Such a beautiful post! I've been trying to jot down some off my favorite verses in a journal, and I'll have to try out these other tips! Thanks for this really thoughtful and thorough post. Check out @versesproject on Instagram - gorgeous graphic art renderings of various Bible verses. They haven't updated in a while, but just scroll back through the history to see some beautiful things.